Finding the right Audio and Music for your project is crucial. You cannot just download a song or a music from the Internet and use it in your project. To avoid copyright infringement, you either have to ask for a permission from the composer or purchase a license which is obviously a tedious and costly task. 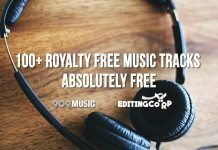 Instead of worrying about the permissions and licenses, why not find something similar at much reasonable price, royalty free and ready to be used in any kind of projects. Finding a similar sounding audio, song or a music is a time consuming process. Using Search Engines and keywords are less likely to give you accurate results. Thus, we need something more advanced, something that eliminates the traditional ‘keyword based search‘. This is where the AudioSearch by Motion Elements comes into play. You can now search for Music without knowing any musical keywords. AudioSearch is like a Visual Search for Music, where you can upload your existing audio, song or music and it will search for similar audio through the database of 150,000+ tracks in a breeze. MotionElements has released the beta version of this feature. As a treasured partner of MotionElements, We at EditingCorp, have been invited to be one of the first few, carefully selected users to test out the AudioSearch feature. For the testing purpose, I took a music file and uploaded it on MotionElements AudioSearch page. Uploading a file is very simple. Drag & Drop the audio file into the AudioSearch box. Once the file was uploaded, AudioSearch analysed the file by extracting its chords, learning about the genre, counting tempo and surfing the waveform. After the audio file has been analysed, AudioSearch sorted out the best matched/similar audio tracks and displayed the results. As a user/consumer point of view, AudioSearch seems to be a game changing feature that will surely change the way of searching Audio, Songs and Music on the Internet. With AudioSearch, you can worry less about finding the right piece of music and concentrate on making that perfect video for your clients and yourself. Now, we offer you a change to try out this amazing feature by using songs to find more songs. 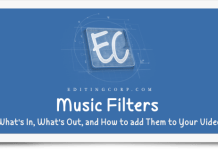 Use an audio clip (even an entire song file!) to search for similar tracks on the MotionElements library. We appreciate your feedback and comments. Do let us know what you think about this new feature in the comments section below.